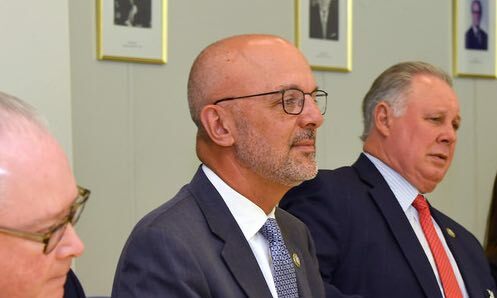 Congressman Ted Deutch, a resident of West Boca Raton, is in the news today thanks to his bill that he claims will address climate change. What the mainstream media is not covering is how this bill would affect people and who benefits. A review of the bill text shows it’s designed to redistribute wealth and the biggest beneficiaries are farmers. Deutch calls the bill “The Energy Innovation and Carbon Dividend Act of 2018”. The general idea is to have a tax on greenhouse gas emissions (aka a carbon tax or fee) imposed “upstream” so the tax is not visible to consumers when they pay for things that are affected. Some of the money would be rebated to people – the so-called carbon dividend. As always the devil is in the details and there’s a lot in this bill. The tax would start at $15 per metric ton of greenhouse gas emissions. A gallon of gas accounts for 0.009 metric tons. A 15-gallon tank is associated with 0.133 metric tons. So a 15-gallon tank of gas would cost an extra $2 for the consumer. That’s where it starts. Every year the tax goes up $10 per ton, or another $1.33 per 15-gallon tank. In 3 years that means the cost of a 15-gallon tank is up by $5, not just $2. iron, steel, steel mill products (including pipe and tube), aluminum, cement, glass (including flat, container, and specialty glass and fiberglass), pulp, paper, chemicals, or industrial ceramics. So anything you buy that has steel, aluminum, glass, cement, and more in it will see price increases. 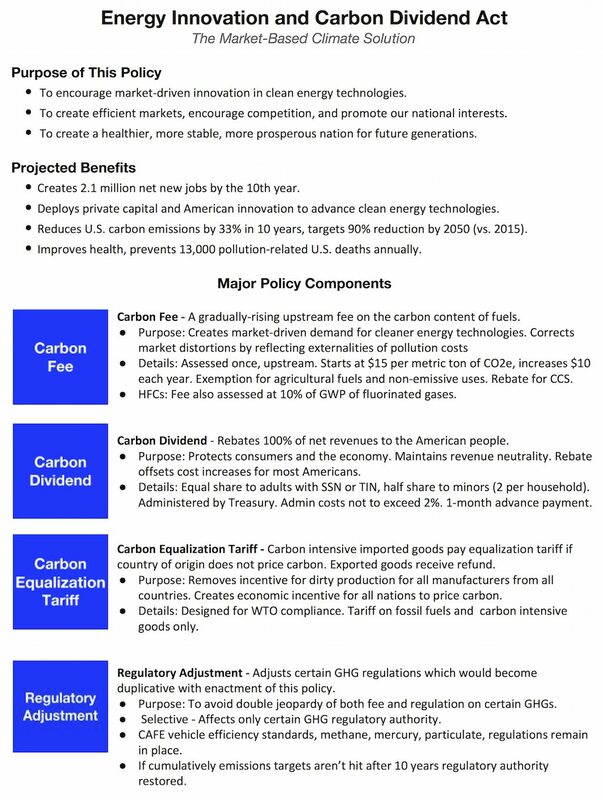 The carbon fee shall not be levied upon non-fossil fuel greenhouse gas emissions which occur on a farm. Agriculture is responsible for roughly 8% of US greenhouse gas emissions. It’s unclear why, as a policy matter, farmers should get a break from a tax the rest of us all pay. As a political matter it’s just one more example of farmers having outsize influence on politicians like Deutch. Then we get to what happens with the money. This breaks down into two separate categories. Some of the money is collected from imports in the Carbon Border Fee. That money “may be used to supplement appropriations”. In other words, it goes straight to the government. Despite Deutch’s sales pitch that the money goes back to the people, the border tax part of the bill goes to the government, not us. A carbon dividend payment is one pro-rata share for each adult and half a pro-rata share for each child under 19 years old, with a limit of 2 children per household, of amounts available for the month in the Carbon Dividend Trust Fund. There are 73 million people receiving Medicaid or other low-income government healthcare benefits. Each will receive a “pro-rata” (equal) share. The wealthy and the middle class emit more greenhouse gases and will pay a much higher share of the taxes but the money will be distributed equally so it’s a scheme to take from the rich and middle class and give to the poor. But the biggest steal of all is the farmers. They’re eligible for the dividend even though they’re exempt from the tax. Deutch’s one-page summary of the bill is below. It is full of unsupported claims about job creation and reduced pollution. The full pdf is below that. We reached out to Deutch on both Twitter and Facebook to ask about these issues. As usual he did not respond. Deutch only deals with journalists who do not ask him tough questions. That’s not personal to him, but rather is typical for incumbents of either party who are in safely gerrymandered districts. He’s still a nice guy and by all accounts a good neighbor. The bill pdf is below.